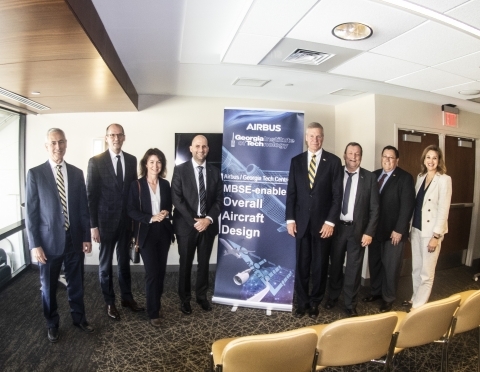 Airbus and Georgia Institute of Technology officially opened the Airbus / Georgia Tech Center for Model-Based Systems Engineering (MBSE)- enabled Overall Aircraft Design (OAD). This Center will contribute to the development and demonstration of a concurrent overall aircraft design process-taking full advantage of MBSE, interactive, parametric design space exploration and digital enablers with a team of 30 Georgia Tech researchers, doctoral students and Airbus experts. This partnership aims to build a much larger ecosystem within and beyond Airbus, bringing our European and international partners on board.